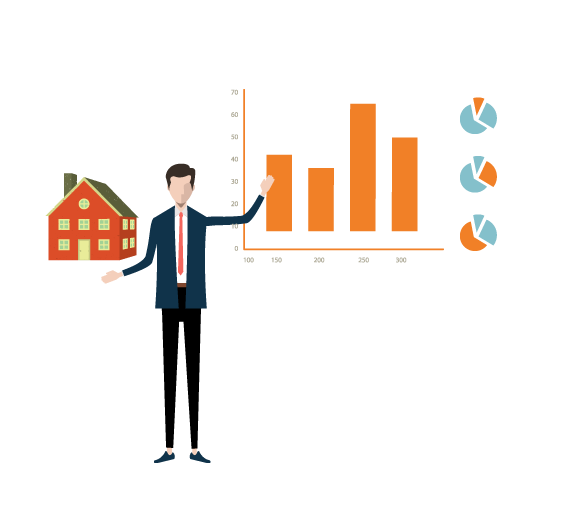 AutoCalc is a must-see free web application for anyone who wants to invest to real estate. calculates rent total revenue, cap rate, total asset value etc. as if building is built as a rental property. 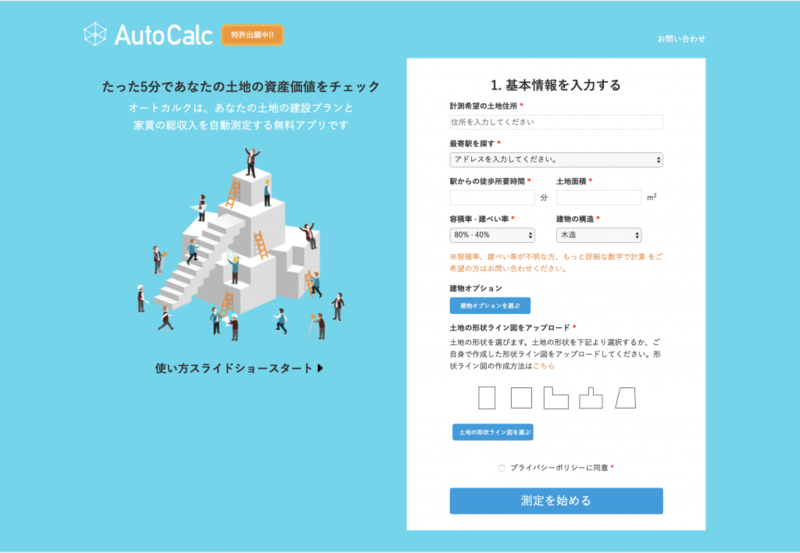 Usually, if you ask the first class architect to make building plan, it costs more than 200,000yen, but it is free to make by AutoCalc! 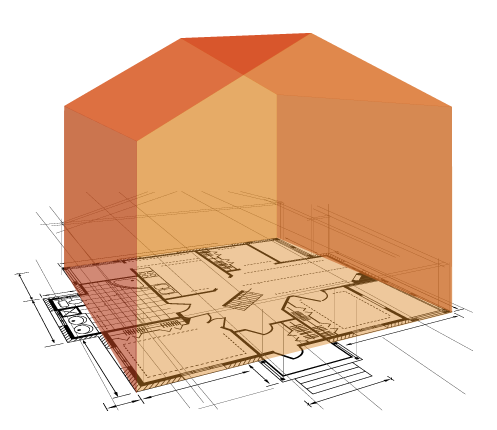 Besides, the building plan is basically 2D, but you can also create 3D plan in Autocalc. It usually takes 1 to 3weeks to complete, it takes jut 5miniutes with AutoCalc! You can choose the building use. 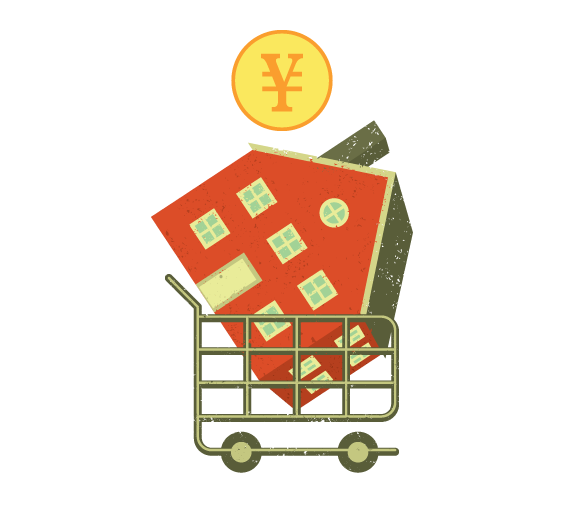 single family house, rental property, office, shop etc.。You can try various possibilities to make the most profit with your land. 2. You can know all about your land! A lot of very useful functions for people who want to invest to real estate. The rent total revenue, the room plan for each room, the rent-roll for each room are automatically calculated, when renting as a rental property. You can simulate different building use in order to know which pattern is the most efficient, such if you make the building all apartment, or office etc. Cap rate, land value, building value, total asset amount are automatically calculated. 3. You can have professional land consulting for free! You can have consulting on land utilization from real estate investment professionals. You can have various consultation, such as if you want to build a new building, want to sell the land etc.